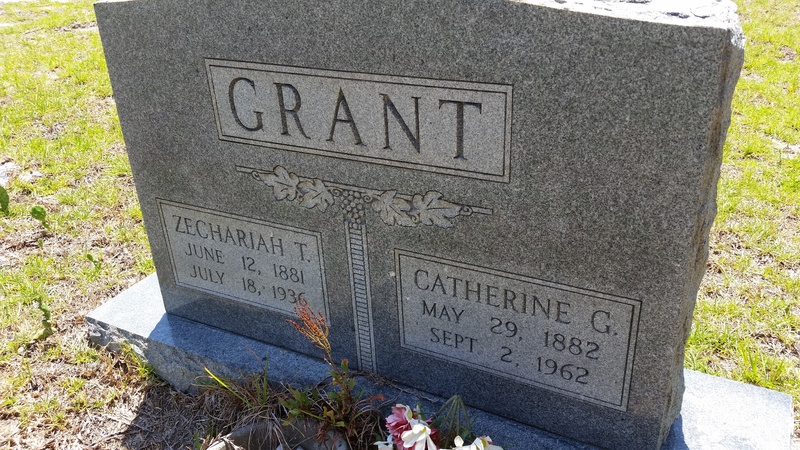 Last Friday I blogged about the Griffin family and how beauty came from the ashes of tragedy. Today, I stood in front of the gravestone for Catherine (Katie) Griffin Grant and her husband Zechariah Taylor (Jack) Grant. It was gratifying and startling at the same time. The last time I visited this cemetery was over 30 years ago. I was with my mother and some of her cousins who knew some stories about our people buried there. It was overwhelming hearing them talk about the people and not being sure how anyone was related to me. Looking at Jack and Katie’s gravestones brought back those memories. But today I was the storyteller, and I had the delight and satisfaction of telling about our great-grandparents and grand aunts and uncles and more…the delight and satisfaction of keeping them all alive.